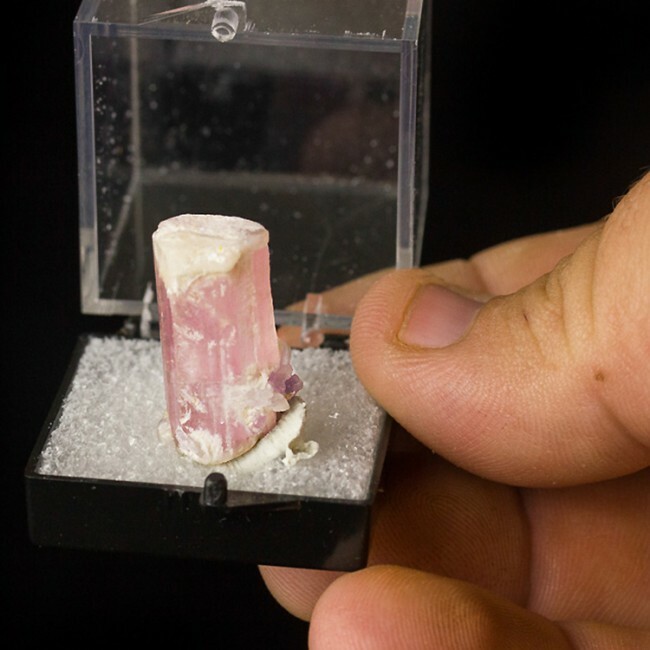 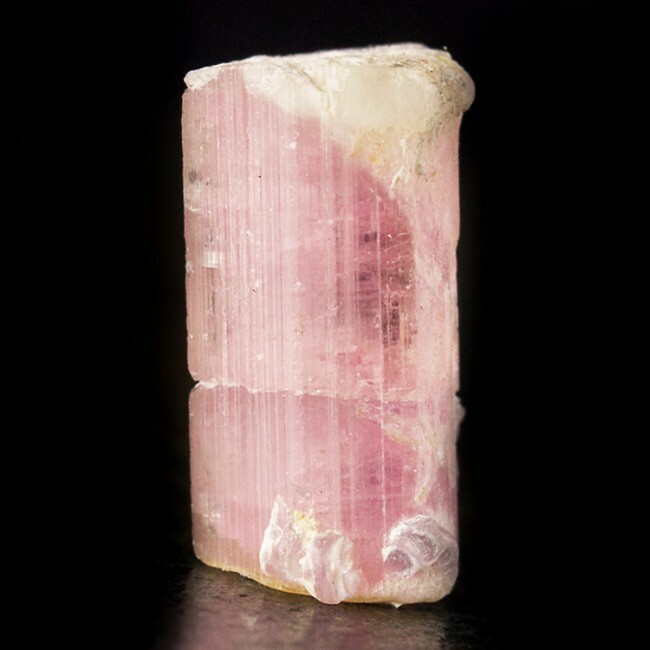 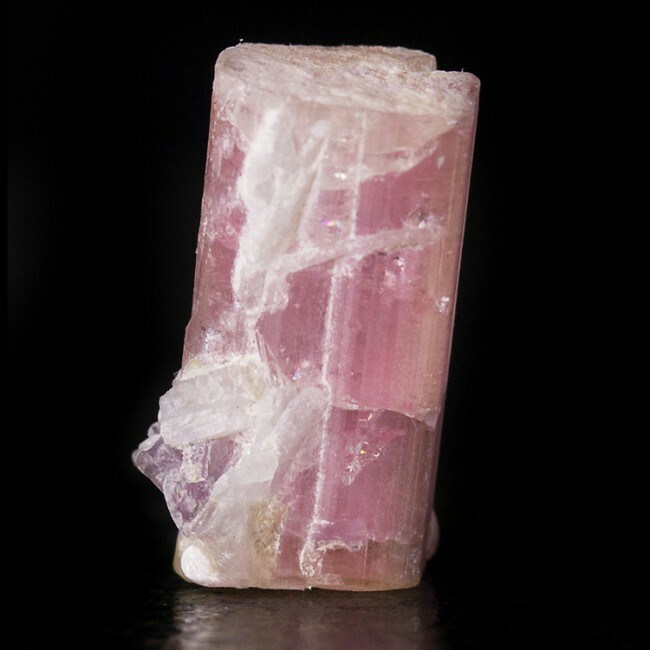 Size 0.9" x 0.5" x 0.4"
The color of this tourmaline is a rich, rosy pink that really makes this gemmy crystal glow. 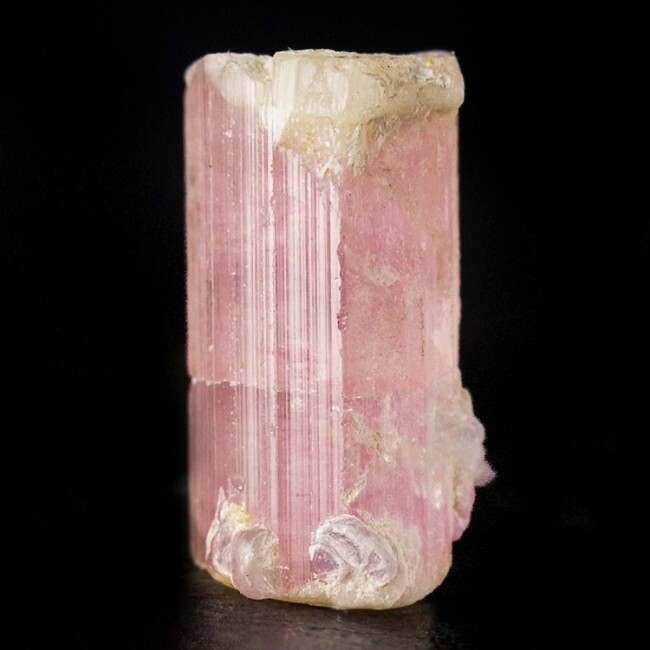 The flat termination is pristine, and the sides feature the grooved striations that are a characteristic of this species. 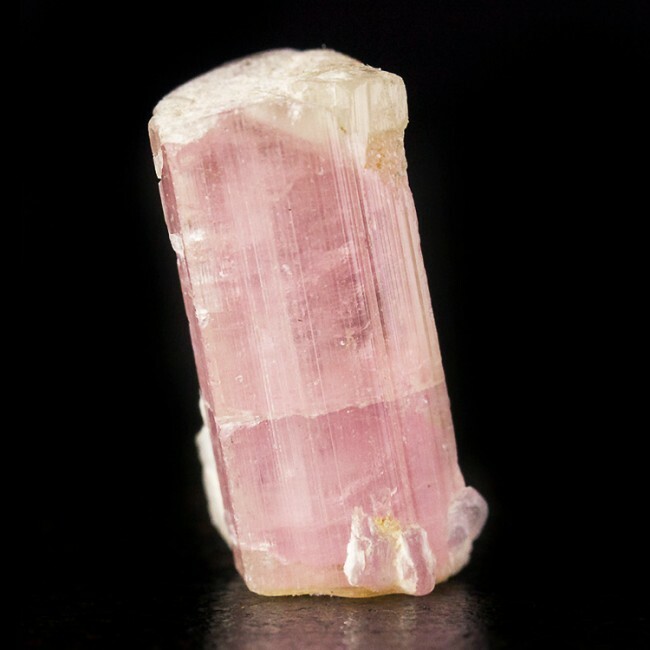 The tip of the crystal is white, and there is a thin microcline coating on the tip. 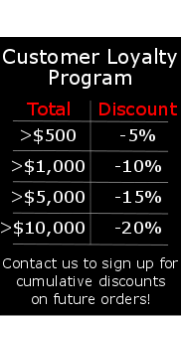 There is no damage.